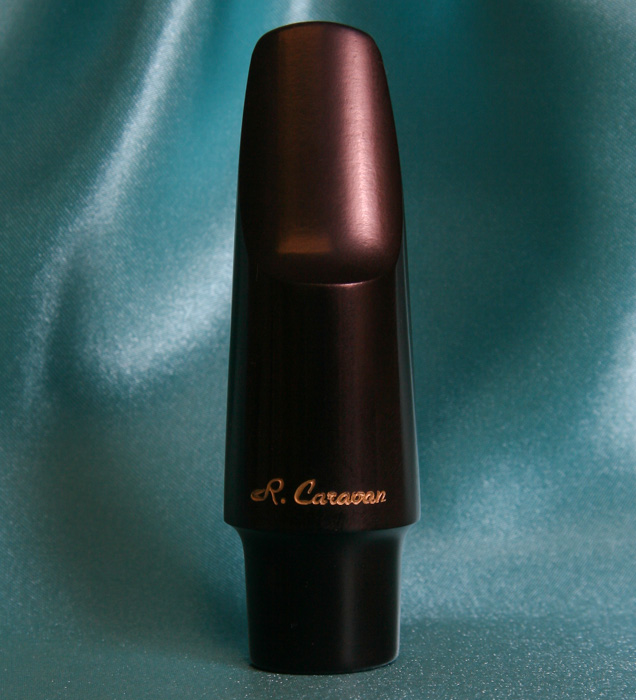 The Caravan Tenor Saxophone Mouthpiece is a particularly flexible open-chamber mouthpiece that produces a nicely balanced dark “classical” tone quality yet has plenty of projection. From beautiful, deep low-register tones to pleasant upper-register tones that avoid the typical “whining” quality of other mouthpieces, this is one of the finest tenor saxophone mouthpieces available. The tenor mouthpiece is available in one standard facing that has a tip opening of around .067 in.